This should be in some kind of whisky/chocolate academic journal if there is such a thing. Very informative, very enticing and very jealousy-evoking. The trouble with pairing is that the results are so unexpected. Each "hit" is a random success. I never know how to proceed except with trial and error. Sounded great fun Joshua! I'm not a sweet tooth ordinarily, preferring savoury food pairings and have been working on Thai food and Whisky, however with friends coming round this weekend, I'm going out to get some quality chocolate to try. Would love to come to your event next week, but just a little too far away for me, and beyond my budget! I'll be there in spirit and look forward to reading all about it later! Dave, brilliant that you pair whisky with Thai food. That's one I would never consider trying because spicy interferes with palate - but with pairing that's often the whole idea. I don't know why I'm skeptical of Thai food (which is sweet and spicy) - because in the US we often pair sweet woody Bourbon with sweet wood smoky BBQ. That kind of thing is traditional in the lower Mississippi valley and lower Great Plains. Meanwhile, Chocolate isn't necessarily sweet. Like coffee, it can be taken "light & sweet" or black and strong. 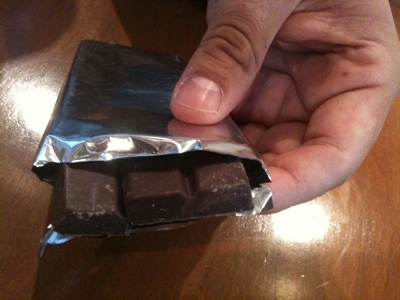 60% cacao chocolate is like the dark end of regular dark chocolate (i.e. it's still recognizably candy). 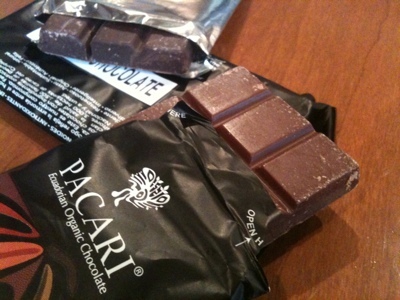 70% is intensely cacao and only a little sweet. 80%+ bars are off dry at best and 100% bars aren't sweet at all. They have no added sugar at all by definition. I bet if I had an hour with you I could convert you. Billy - you aren't trying to pair milk chocolate, are ya? 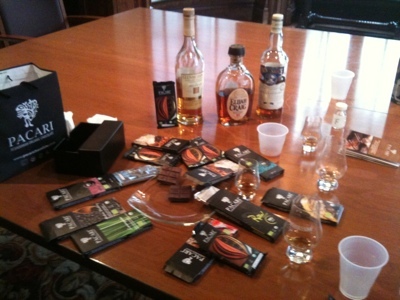 I agree about Salt & Nibs being a good pairing bar for many different flavors of whisky. I find it's very nice with Sherry Bomb (i.e. Aberlour A'Bunadh & kin). But the Salt & Nibs is such a clear flavor profile that it doesn't do the mysterious morph into the "emergent" new flavors. 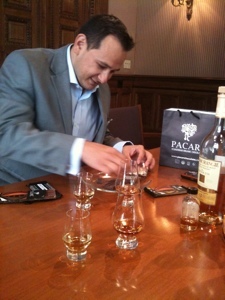 Some notable pairings that did that include the Pacari Lemongrass bar with Compass Box Hedonism, Great King St. Artist Blend with Goldenberries, Madecasse 72% and Balblair 89, and the aforementioned sherried Port Ellen 23 with the Pacari 70% Raw bar. 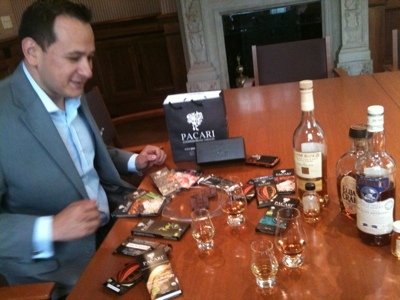 The real question here is which whiskies pair with Marmite? 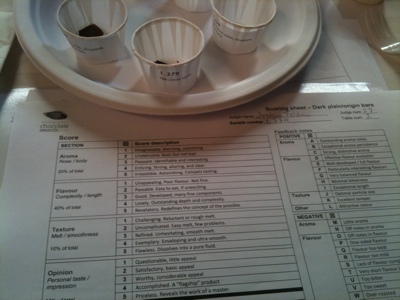 Do you know that I gave you +K on Klout for expertise about Marmite (as well as whisky, blogging, web development, etc..)? If there is anyone on the planet who could make a go of whisky and Marmite pairing it would be you. How about Loch Dhu? Or maybe Isawa 1983? That might be aces. I tried this in the summer with what I considered some very fine chocolate, but I did not like the experience at all, similar to Billy's observation. Then again, I don't really love chocolate. Thanks for the little lesson - I may have to try this again with friends, and hopefully we'll find a pairing that works well together. I live in Seattle and am inspired to pair some of the great local chocolate here (Fran's, Theo, etc.) 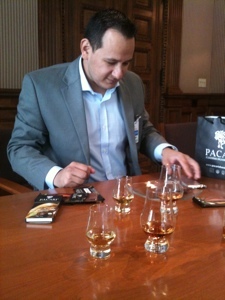 with whiskey from local distilleries. Maybe Theo Fig, Fennel, and Almond Chocolate with Battle Point. Thanks! Also found it interesting that it sounds like you only sampled South American Chocolate. 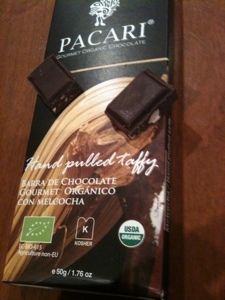 In general, I much prefer the terroir of chocolate from Africa to that of South America. Why no African chocolate? You are missing out! 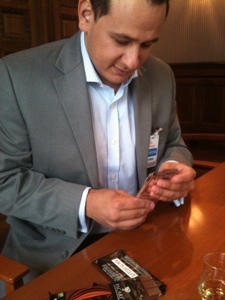 I regularly eat Madecasse chocolate from Madagascar. But I haven't had success (yet) in pairing it. Can you recommend some specific African chocolate selections? I've been exploring South American chocolates in particular to familiarize myself with the flavors of Criollo versus Forastero and Trinitario. I was under the impression that Criollo beans are only commercially grown in South America.